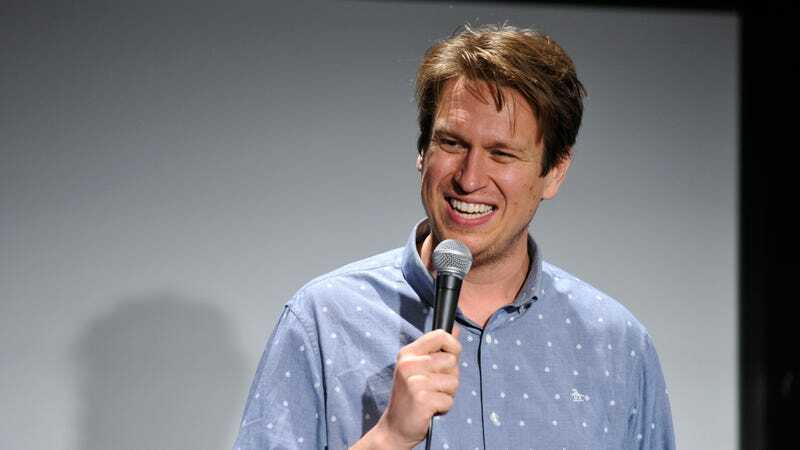 Pete Holmes has spent the last few years crafting the delightful, low-stakes gem that is HBO’s Crashing. The half-hour comedy was recently renewed for a third season, but prior to its return he’ll take the stage for a new stand-up special, his first since 2016's Faces And Sounds. Directed by Marcus Raboy, who also helmed his previous effort, the set will reportedly find Holmes “confronting personal truths about the mechanisms of consciousness, Michael Jackson, the afterlife and Elon Musk, as well as sharing a few thoughts on being a new dad.” Hopefully he mentions the sword. Called Dirty Clean, it’s taping at Portland’s Aladdin Theater next month and premiering on HBO’s streaming and On Demand platforms on December 15.